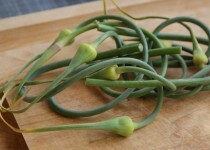 A California customer phoned in this recipe as the new veggie rage sweeping across the state. We agree – delicious! sesame oil - ½ tbsp. water to stop cooking. 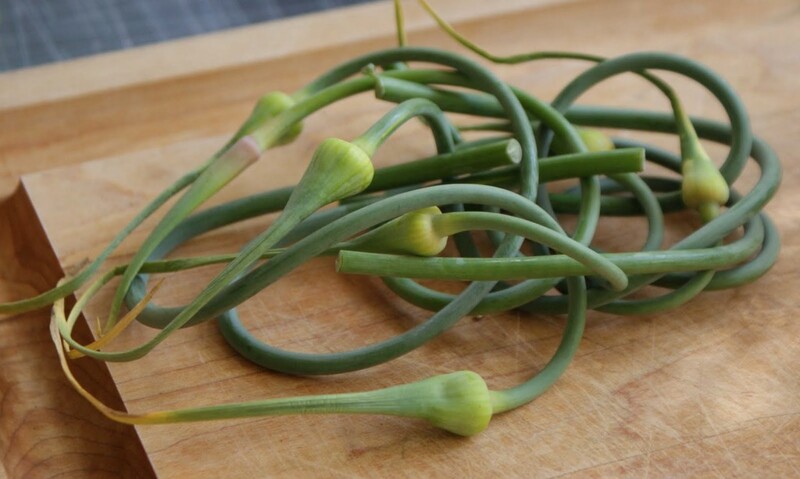 Drain and dry garlic scapes. tender (not more than 5 minutes). Toss with sesame seeds. 3) Plate and sprinkle with coarse sea salt.